Android is a powerful platform with its rich hardware support and easy to use interface. We can use a single Android device for various purposes. Gaming is also one of them. People like to play games on Android smart phones to pass their free time as well as for entertainment. Motion Sensor games for Android is also a biggest source of Entertainment. These games utilizes the various sensor of Android device for game play. These games are a combination speed, challenges and fun. We can easily play these games just by tilde our smartphone. These games are easy to play and understand for small child also. They can easily move device to have fun. List Of Best Motion Sensor Games For Android. 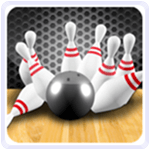 3D Bowling is an amazing in all motion sensor games for Android user. 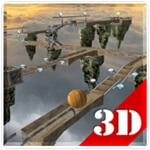 It provide stunning 3D graphics and easily to play. We can easily play the game with touch controls and move the ball to left or right by tild our phone. It is a light weight Android game which is compatible with Android 2.0 or higher version. Approximately 500 million users downloaded this game. It is a wonderful game specially designed for children. Controls of this game is very simple. We have to tilt our phone to move left or right side and tap on the screen to shoot our enemies. 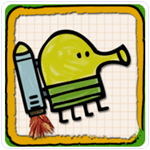 It provide amazing powers like Jet Packs, Propeller, Hats, Rockets, and much more. This game has a lot of different levels. Approximately 100 million people downloaded this game. 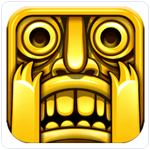 Temple Run is also an addictive motion sensor game which is also full of interest and curiosity. We can easily play this game with swipe controls. It has a rating of 4.3 on Google Play store. We have to collect coins to earn more powers. We can use these powers to cheat with death. This game has amazing graphics and sound quality. Approximately 500 million users downloaded this Game. 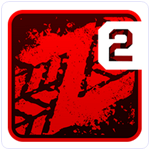 It is another high rated Android Game in the list of best motion sensor games for android. 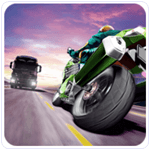 Traffic Racer game is amazing and fantastic for android phones. Because when we play this game we feel like we are really driving car. 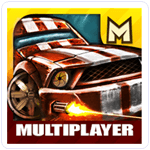 It provides different features such as 3D Graphics, 35 + different car to choose and much more. It also include vehicle like Trucks Buses and more. It require Android version from 2.3 to up. Approximately 500 million users downloaded this game. This game is really awesome for android phone. This game is provides us good graphics, sound etc. It support 17 languages. It is faster racing game and we can get more score. When we are driving over 100 Kmh, overtake to get bounce score and cash. We can easily to upgrade our bike with use cash in it. It is no need fuel and no issue for times just pure endless fun. It is provides us environment with day and night.About 100 million users downloaded this game. Balance 3D sensor game has two modes portrait and landscape mode. It has several types of controls Arrow keys, Joystick, G-sensor etc. it is provides us different level missions. It is a light weight android game.We can easily to spend free time by this game. We can play it using swipe our phone.It is good graphics and sound quality. We can install android version from 2.5.8 to up it. Approximately 50 million users downloaded this game. 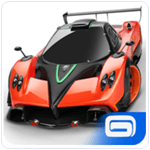 It is a car racing sensor game. We can easily to pick our favorite car for joining ultimate challenge. It has many features. We can make it better like Faster, Stronger, and prettier. We are support and available 14 different languages in this game. It has four game mode such as One Way, Two Way, Time Attack, Free Ride. We can also Upgrade, Speed ,Acceleration, Handling , and with Breaking options our car. We can also different graphics mode like Low Graphic Medium Graphic and High Graphic. We have provided top and back camera with help for racing. About 50 million users downloaded this game. This game is provides us different challenge such as to beat your friends score and much more. It has many different modes like Gate Drift, Knockdown and much more. We are take control of luxury licensed the cars such as Ferrari, Lamborghini Veneno , etc. 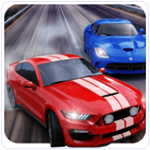 We are get boost power with help to beat nearest car player in this game. When we can also hit the ramp and take the race to reach new heights. About 50 million users downloaded this game. It is very awesome and fantastic game for android phone. Everyone is love this game because it is too good graphics. We can also shoot zombie to use with gun in this game. We can share best score our friends. It is a offline game. which is available on Google play store. When we very enjoyed it. It has various weapons include in this game. About 10 million people downloaded this game. 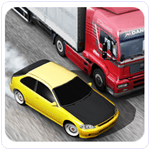 It is best in all motion sensor games for android. It has more features includes such as We can play offline on our Android phone, or we can also play online to use multi-player by internet. It also provides us good sound quality and graphics views. We can also play this game to capture attractive action to share our friends. It is totally free on Google Play Store. About 10 million users downloaded this game. In conclusion, we hope that you like this list of best motion sensor games for android. Please feel free to share your reviews, suggestions and queries in the comment section below. Clickadu’s New Ad-Formats Will Skyrocket Your Online Earnings? "Safe Tricks" carries the motto - "Technology is the new way of life". We, at SafeTricks have been working ever since, to make technology easier and accessible for one and all. It has been, and will continue to be a hub for all Tutorials, How to's, Tips, Tricks & Hacks, Top & Best Reviews on Software's, Apps & Games and much more articles over all major tech platforms. Our goal is to be a "Pioneer Digital Resource" for all kind of tech solutions across platforms.